In Islam the Prophetic tradition or Sunnah which can also be called as Tao of Islam, literally meaning Way to Divine Submission, includes abundance of solitude, contemplation and adoration of the Divine. 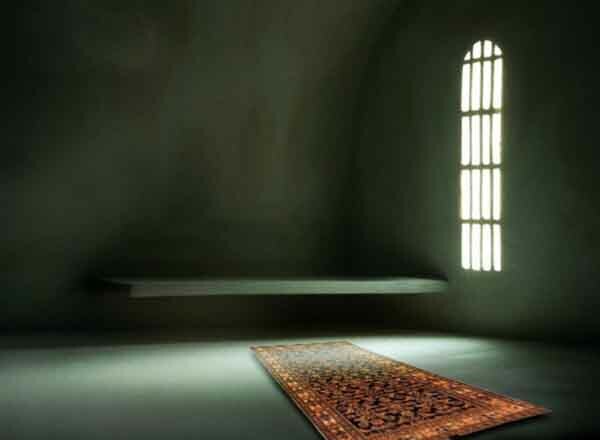 While regular prayer remains as a well established principal in living Islam, the place of solitude and contemplation is often overlooked and hence neglected due to over ritualized way of looking at things when it comes to religious practices devoid of spiritual knowledge and understanding. Spiritual foundation consists of the practice of solitude, contemplation and adoration. While this is true for every single religious tradition, but often we see from reality that this foundation gets ignored and undernourished. As a result, ritual focused religion erected upon no solid spiritual foundation, with time, crumbles and the entire religion become irrelevant, void of meaning and apparently dead. Within the Islamic tradition, the practice of solitude goes back to the earliest period of the life of the Prophet, may Divine peace and blessings descend upon his noble soul and upon every occasion of remembering his blessed memory. .. he began to experience powerful inward signs, in addition to those of which he had already been conscious. When asked about these he spoke of "true visions" which came to him in his sleep and he said that they were "like the breaking of the light of dawn." The immediate result of these visions was that solitude became dear to him, and he would go for spiritual retreats to a cave in Mount Hira' not far from the outskirts of Mecca. There was nothing in this that would have struck Quraysh as particularly strange, for retreat had been a traditional practice amongst the descendants of Ishmael, and in each generation there had been one or two who would withdraw to a solitary place from time to time so that they might have a period that was uncontaminated by the world of men. In accordance with this age-old practice, Muhammad would take with him provisions and consecrate a certain number of nights to the worship of God. Then he would return to his family, and sometimes on his return he took more provisions and went again to the mountain. During these few years it often happened that after he had left the town and was approaching his hermitage he would hear clearly the words "Peace be on thee, 0 Messenger of God",' and he would turn and look for the speaker but no one was in sight, and it was as if the words had come from a tree or a stone. Ramadan was the traditional month of retreat, and it was one night towards the end of Ramadan, in his fortieth year, when he was alone in the cave, that there came to him an Angel in the form of a man..."
The aforementioned glimpse at his blessed life inform us that it was solitude which characteristically marked the special period when his heart became ready to receive the direct revelations. By extension this also indicates that when sadhana (spiritual quest and devotion) matures for a seeker of God, solitude is a natural phenomena where the soul seek shelter in. 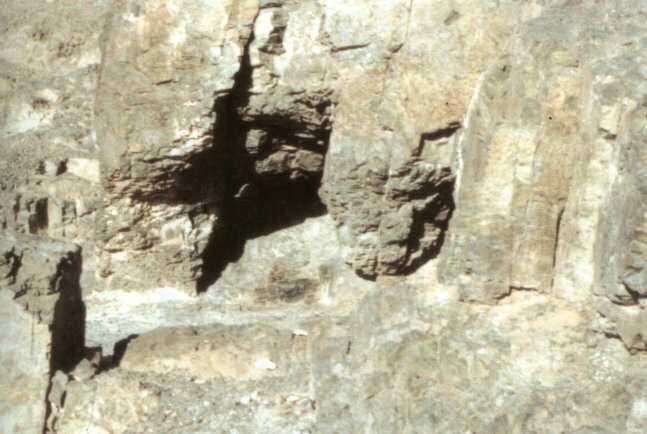 Taking the incidents of Prophet's taking refuge in the cave for solitude and contemplation by moving away from a busy city life (Mecca was at that time a major cosmopolitan city and a bustling trade hub of the region) some scholars of Islam also say that this is a forgotten Sunnah to get away from busy city or town life to deepen one's spiritual experience as well as deepen one's relationship with the Lord. With the right intention when one embraces solitude, that is the intention of getting close to one's Lord, to remember none but Him, just as revelation broke upon the heart of the habib-Allah, inward illumination breaks as dawn upon the horizon of the heart of lovers. Solitude is for "ma fi qalbi ghayrullah" - to aspire towards having nothing within this heart except Allah - it is seeking forgiveness for those negligent moments of occupying the Heart with other than Allah and to cleanse the very heart from everything other than Allah (gharullah). Someone once said, "Prayer is not asking, it is the longing of the soul," practice of solitude is to increase that longing of the soul the Union, to beheld the Countenance, to be lost in the Presence. The experience of Divine Revelation of the Qur'an began in the month of Ramadan while in solitude at the cave Hira outside the city of Mecca. As a continuation of this grand experience, the Prophet sallallahu alaihi wa sallam established the practice for the common people to observe solitude in the mosque during the last ten days of Ramadan every month. This practice in Islam is known as i'tikaf. The arabic word means to stay in some place, to confine one's self to a particular space. In the context of Islam it means to stay in a mosque or even in house for a particular time period in the worship of Allah while maintaining certain conditions to give undivided attention in the remembrance and worship. Itikaf remains to be one of the great spiritual opportunities in the blessed month of Ramadan. 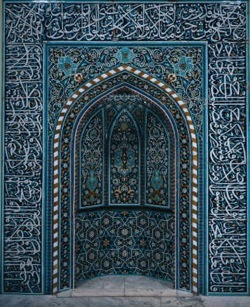 During the month of Ramadan, for the last ten days, the Prophet exemplified and practiced solitary retreat at the mosque to guide and show a Path that can be practiced by all, not only an elite group of people or ascetics or monks alone. This is the spiritual democratization of the practice of solitude for common people to give them the taste of solitude. "Since the hearts' rectitude and firmness upon the path towards Allah the Most High, rests upon directing it solely upon Allah and causing it to turn and give all its attention to Allah the Most High. Since the disorder of the heart cannot be rectified except by turning to Allah the Most High, and its disorder will be increased by eating and drinking too much, mixing with the people excessively, speaking profusely and sleeping too much. These will cause it to wander into every valley, and cut it off from its path to Allah, weaken it, divert it or put a halt to it. From the Mercy of the Mighty and Most Merciful is that He has prescribed for them fasting, which will cut off the excesses of eating and drinking, and empties the hear of its desires which divert it on its journey to Allah the Most High. He prescribed it in due proportion as will be appropriate and will benefit the servant, with regard to this world and the Hereafter, and does not harm him, nor damage what is beneficial for him. The Prophet himself had the habit of getting up regularly at night and used to spend almost the entire night, sometime half of it, sometime one third of it in solitary and long prayer. There are many reports in the traditions on the authority that the Prophet was often found in deep prayer at night. 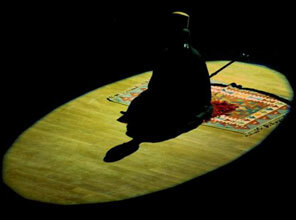 Khalwat (Empty Solitude) is Solitude when there is nothing in the Sufi’s heart and mind except the Beloved Creator. Ozlat (Detached Solitude) is Solitude when the Sufi detaches himself from the people to protect them from his Self’s evil and does not protect himself against people. He does not embark upon Solitude to avoid people’s hurt and be at peace from them, in Sufism it is the other way around: To save people from his Self. Imam Qoshair said, “Khalwat (Empty Solitude) is the characteristic of the people of Safwat (Sufis or pure folk) and Ozlat (Detached Solitude) is the characteristic of people of Waslat (Seekers of reunion with Beloved). The beginner Morid (Avid Seeker) has no choice but to practice Ozlat (Detached Solitude) and travel towards the end, which is the Khalwat (Empty Solitude). When a servant of God willfully embarks upon the Ozlat (Detached Solitude) believes that people should be saved and at peace from his Self’s evil however seeks not his own safety from the evil of the people. First, one needs to humiliate the Self (by not defending against the people) and do not prefer himself or consider himself superior (avoiding the harm to people) to belittle his Self to avoid pomp and arrogance, instead be humble”. Indeed Ozlat (Detached Solitude) is to tear apart from the Self’s shameful characteristics and Ozlat is the transformation of these into praiseworthy characteristics, not to forsake one’s home and daily life in some remote area. Some said Aref (Divine Cognoscenti) is with the people, on the surface of things, and afar within his depth. I heard Abu Ali saying, “Wear that which people wear and eat that which people eat but within your hidden depth be afar from them”. Abu Yazid has been quoted, “I saw Allah in my dream and asked the Royal Highness how to reach It, The Majesty responded: Forsake your Self and come”. Abu Othmaan Maqrebi (Moroccan) said, “Khalwat (Empty Solitude) is the state wherein all memories have been emptied except the remembrance of the Lord, all élan is emptied except the Divine Elan. If this is not the case, then the solitude is nothing but suffering and destruction”. A man came to visit Abu Bakr Warraq asking for advice and he said, “I found the goodness of this world and the world after within scantiness of Khalwat (Empty Solitude) and I found the evil of this world and the world after in opulence and socialization”. It has been said dignity, honor and greatness befalls the one embarking upon Ozlat (Detached Solitude). It has been said that Khalwat (Empty Solitude) becomes easy if one eats Halal (Provision obtained through lawful means) and Halal eating does not come about unless by obedience and politeness towards the Lord. Zan-noon said, “I have seen nothing to bring about sincerity and purity of intentions better than Khalwat (Empty Solitude)”. Abu Abdallah Ramly said, “May your friend be Khalwat (Empty Solitude), your food the hunger and your conversations the soliloquies, either you die or shall reach the Lord”. Jonaid said, “The hardship of Ozlat (Detached Solitude) is far less than suffering caused by mixing with people”. Yahyaa Bin Mo-Oz said, “Solitude is the abode of the truthful”. I heard Abu Ali quoting Shebly, “Warning People! (Impending) Poverty! Poverty!” People asked what is the sign for upcoming poverty? And he responded, “Sign for poverty is intimacy and affability with people”. Yahyaa Bin Abi Kathir said, “Whomsoever mixes with people must compromise and whomsoever compromises is guilty of Ria (Arabic word for doing good for people’s eyes to admire)”. Sa’ad came close by Malek Bin Ma’wal’s house and saw him all alone in there and he asked, “Are you not scared all alone?” and Malek replied, “Have never heard anyone scared aloof by their Lord”. Jonaid said, “Whomsoever wishes his religion to be healthy and at peace, and his heart and body at comfort tell him embark upon Ozlat (Detached Solitude) since these are horrific times and the wise are aloof”. Abul-Abbas DaamQaany said Shebly advised him, “Embark upon Solitude and delete your name from people’s archives, turn your face to a wall and await your death”. Someone asked Zan-noon about the soundness of one’s Ozlat (Detached Solitude) and he replied, “True Solitude is Solitude from one’s own Self”. Ibn Al-Mobarak was asked, “What is the medicine for the heart?” he replied, “Not seeing the people”. Sufis have said, “Whenever Allah wishes to elevate someone from the humiliation of sins to greatness of acquiescence and worship, makes the Solitude easy for him enriching him with contentment and give him vision to see his own faults. And whomsoever has these attributes he is given the best of this world and the world after”. May God, the Lord of Majesty and Generosity bestow upon us the taste of true solitude, help us to be truly alone with the Real Alone, even while within crowd or in a busy super market and may the Glorious One steal away from us that which steal our hearts away from Him. Indeed Allah has power over all. Enough is my Lord, glory be to Allah. None in my heart except Allah. O brilliant light bearing Muhammad, upon you be peace.